Should work on a real KRISS Vector. It looks nice, wish it did not cover the light. Instock today. Ordered one, hopefully it will fit without to much drama. Received the rail today. It was a perfect fit. ckline wrote: Received the rail today. It was a perfect fit. Ok this convinced me so I just bought it. Do you have pics of it installed? 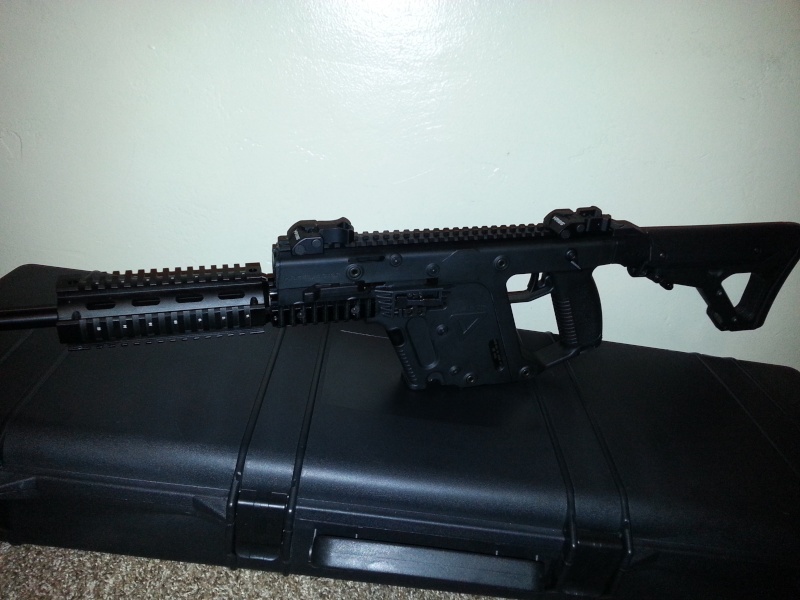 Do you have pics of ur kriss vector with the airsoft quad rail ckline or s2kcrick? Thanks for the pic ckline. It's kind of small but I can make it out. Haha! I'm gonna order one when they're back on stock. In the meantime. Let me know how it functions and if you have a bigger pic. Pics talk more than words. Thanks again. It's solid. No movement what so ever. By the time you order the diamond rail system and a couple rails your into it for 300$. Airsoft rail 115$ + free ship. Airsoft parts planning to get real steel counterparts or something similar.